Due to shortage of manpower we have had to drop our Italian version of weeklyOSM. So we will publish in 8 languages in the future. A special thanks to the two remaining editors sabas88 and sbiribizio who tried together to keep the Italian edition alive. For an edition – even if it is just translations – the weeklyOSM requires minimum three editors. We thank them for their willingness to continue as weeklyOSM’s reporters for the Italian community. Brian Prangle has written a guide to help with the collection and mapping of fire hydrants in UK. 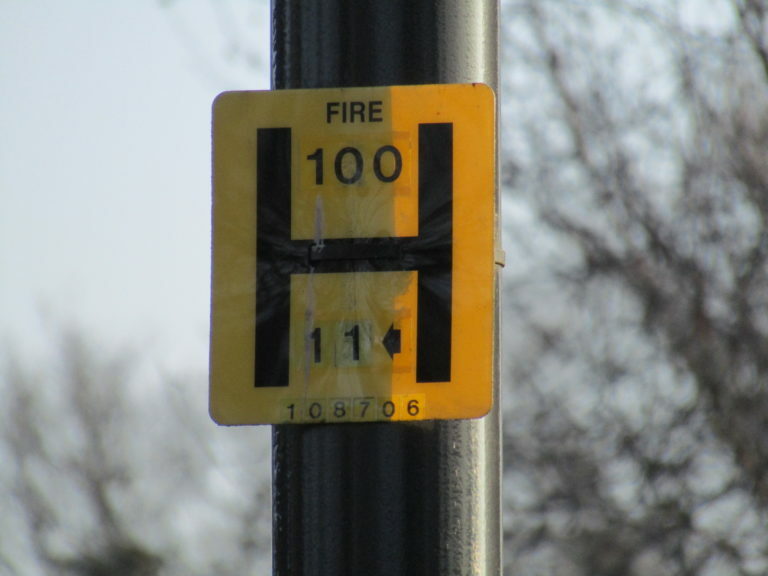 This mapping effort was prompted by the declaration of fire hydrant locations in the West Midlands of England as “secret” (despite each one being labelled with a highly visible, often bright yellow sign)! TagaSanPedroAko writes in detail about his latest mapping activity, including power line mapping and adding points of interest, in Batangas City – a place he has been regularly mapping. Zverik analyses the change count of POIs by editor type. HackerNews user recommends OSM in response to a discussion about Google Maps lite mode, particularly with respect to up-to-dateness regarding roads and speed of loading in comparison with Google Maps. Stumbled upon OpenStreetMap while playing Pokemon Go? Here are some tips to get started with contributing to OSM. On Talk-GB, Brian Prangle shares a list of tentative projects in consideration for this year’s first ‘Quarterly Project’. Andygol shows how to test for a connected net of streets that are still connected at other zoom levels. User escada interviews Philippe Verdy as the Mapper of the Month. User ryebread brings to the community’s attention his efforts to import data from the Southeast Michigan Council of Governments (SEMCOG) for Detroit. OSMF provides a recap of 2016, highlighting some of the interesting work done during the past year. The call for proposals (CFP) for FOSSGIS (automatic translation) 2017 is open until January 6, 2017. There were announcements about the same on the OSM forum (automatic translation) and the talk-de (automatic translation) mailing list. The SotM Africa will take place 2017 in Kampala. The next hosting country for the State of the Map Latin America 2017 will be Peru! The conference will be held in December, in Lima. Exact dates are yet to be confirmed. In Tunis young people are looking for a better image of a poor district. The project uses OSM and is financially supported by Switzerland. Tyler Radford announced the successful completion of the fund critical community mapping projects. Greg reported the results of the last quarterly project. The aim was to use UK Food Hygiene Rating System data from the UK Food Standards Agency to improve the density of POIs, addresses and postcodes in town centres. Statistics and tools can still be used. The TAHUNA app beta version is available (automatic translation) from Google Play Store, adding Teasi navigation tools to your mobile device. Maps.me has integrated an important feature since the new update: traffic information. The Android app OSM for the dyslexic an OSM-based world atlas for dyslexic users. The development is part of the MyGEOSS project. WordPress asks via tweet for beta testers on their upcoming OSM plugin version 3.8. Mike Fricker, the technical director for Unreal Engine 4 at Epic Games, has released a plugin for their popular game engine which can import OpenStreetMap data into their game editor. Mapillary Android * 3.12 2016-12-20 App install fix, stopping background upload service when finished. Maps.me Android * var 2016-12-26 Travel data in 36 countries. Komoot iOS * 8.5.1 2016-12-27 See what month a highlight is most visited. Maps.me iOS * 7.0.4 2016-12-27 Travel data in 36 countries. Grass Gis 7.2.0 2016-12-28 More than 1,950 stability fixes and manual improvements, 50 new addons. JOSM 11425 2016-12-31 Many improvements, see release info. SQLite 3.16.0 2017-01-02 14 enhancements and two bugfixes. … the German alternative to Google Maps? Maps.metager.de (automatic translation) of the SUMA-EV and the Leibnitzuniversität Hannover is currently in the beta version and offers only Germany-wide search requests on OSM basis. However, it promises to be one of the safest search engines. In an article on L’Obs, the online edition of the Nouvel Observateur, it is once again about how Google adapts the national boundaries according to the states’ view. The Verge reports about the launch of the service toilet-locator from Google and India’s Ministry of Urban Development. This weeklyOSM was produced by Peda, Polyglot, Rogehm, SomeoneElse, SrrReal, TheFive, YoViajo, derFred, jinalfoflia, keithonearth, kreuzschnabel, seumas.